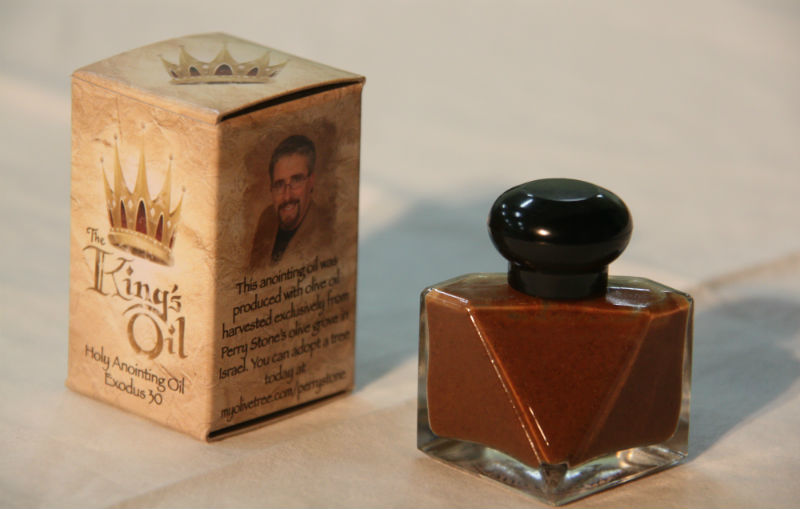 One of the products we have for sale on our website is The King’s Oil, a special anointing oil for various religious customs. The oil was made to follow the guidelines and instructions for developing anointing oil found in Exodus 30. The oil is exclusive to My Olive Tree and uses some of the finest ingredients found in the Holy Land, as well as olive oil made from the fruits harvested from our own olive tree groves! The King’s Oil was designed and prepared by a faithful Israeli chemist, following the art of the Biblical apothecary to the letter. The first thing you notice about this oil is its beautiful fragrance—when you open the bottle, it fills the air with its aroma, much as it would have done in ancient days in the very temple at which Jesus worshiped. The appearance and texture of the oil is also rather unique. 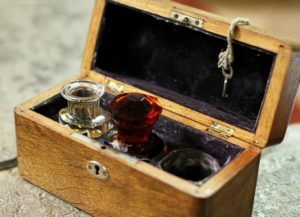 Many people are used to seeing light, smooth anointing oils, but the dark and grainy look of The King’s Oil is thought to be much closer to the original types of oil used in temples of Israel. It is exciting to see yet another way the Church is drawing closer and closer to its roots and heritage. To learn more about the scriptural roots of The King’s Oil and how we have made it, contact our team today at My Olive Tree. 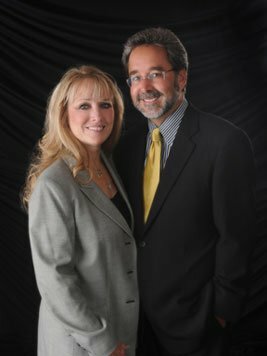 We look forward to teaching you more about the processes we used to create it!